The Easter Lunch in Venice at the Top of the Carlton: a moment of joy for the most demanding palates! In case of bad weather our fantastic restaurant La Cupola on the ground floor awaits you !! After the cold winter, Easter marks the beginning of the good season. 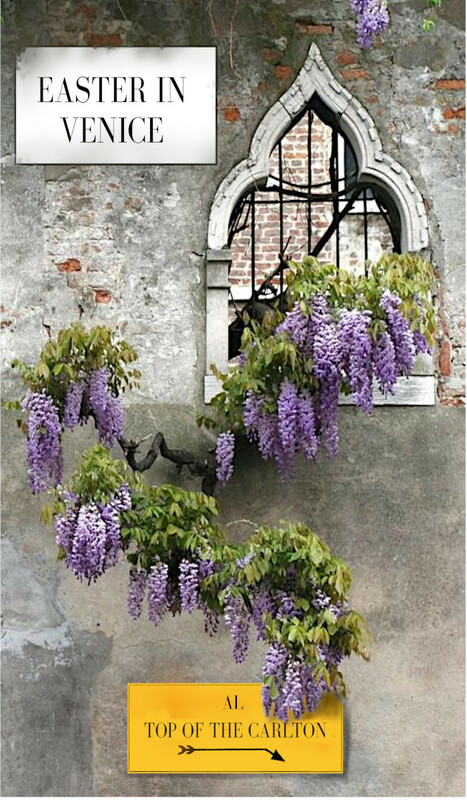 Gems bloom on the trees, nature regains its colours and our mood improves together with the desire to celebrate. In Italy, the perfect way to celebrate is by … eating. Each festival has its own food and the Easter lunch is a gastronomic representation of the triumph of life and spring. In addition to the traditional hard-boiled eggs, there are so many other delicacies in the Italian Easter menu. It usually includes lamb meat, egg pasta, and all the wonderful ingredients the season brings such as asparagus and artichokes. The “Colomba”, the traditional dove-shaped focaccia, will make a delicious finish to the Easter Lunch. Our Chef’s “Colomba” will be accompanied by a hot dark chocolate sauce. For this reason, if you want to celebrate Easter in Venice “coe gambe soto ala tola” – with your legs under the table – as we say here, book your table at the Top of the Carlton Sky Lounge & Restaurant. 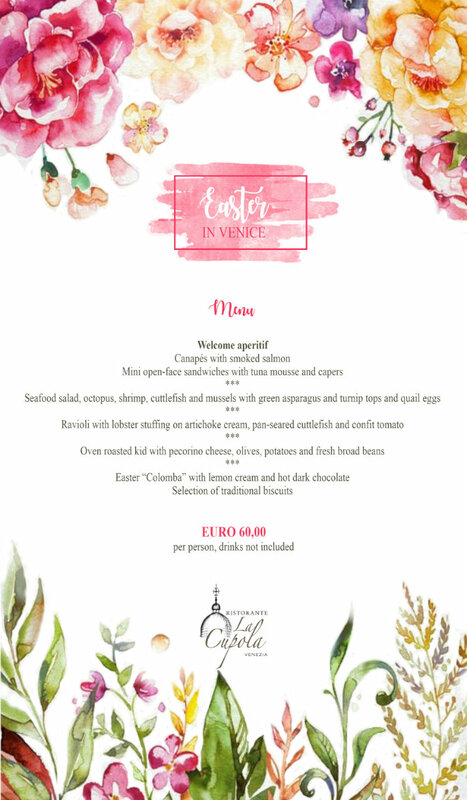 Our chef has prepared a mouth-watering menu for your Easter lunch in Venice! Certainly, it will be a moment of joy for the most demanding palates. Throughout the Middle Ages, the Easter festival was celebrated with jokes, laughter and lots of joy. The April Fool is probably linked to this tradition. If one goes through the history of mankind, one can see that the practice of sacrificing a victim to the deity is present in all religious traditions. The lamb is the sacrificial animal par excellence. It brings us back to the times when pastoralism was the most important activity for the survival of the human being. Hence, it is the emblem of the vitality of nature that rises from the winter. Certainly, the Jewish people were particularly sensitive to this symbolism. At a later time, this symbolism was handed down to Christianity in the form of the lamb of God (Christ). Easter in Italy, as in many other countries, means Easter Eggs. Since ancient times, the egg has had a big symbolic value. For the ancient Egyptians, the egg was the origin of everything. The tradition of the egg as a gift is already documented among the ancient Persians, where, in Spring they used to give chicken eggs as gifts. In Italy, since the Middle Ages, the eggs that the hens produced during Lent were hard-boiled, so that they were not wasted. Eating an egg on Easter Sunday meant the end of Lent. The first chocolate egg was served at the court of Louis XIV at the beginning of the eighteenth century. However, it was only at the beginning of the 20th century that the first hollow chocolate egg with a surprise inside was created by some Maître Chocolatiers from Turin. We are always attentive to different dietary needs and, on request, we can offer you interesting variations of menus for vegans, vegetarians and for those who have specific intolerances. CANCELLATIONS: The amount will be refunded if cancellation is notified before 15th April 2019.